Series 6 promo pictures. . Wallpaper and background images in the Amy Pond club tagged: karen gillan amy pond. 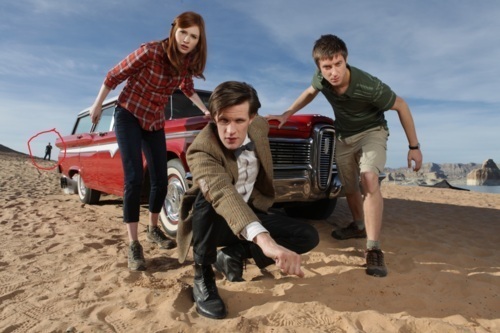 This Amy Pond photo might contain tailgate, tailboard, टेलगेट, टेलबोर्ड, खेल उपयोगिता, खेल उपयोगिता वाहन, 'यू एस वी, एसयूवी, 'यू वी, एसयूवी', यू वी, एसयूवी है, ऑटोमोबाइल, कार, ऑटो, एसयूवी, and ट्रक.